Finding an ideal river that offers a little something for everyone is difficult. 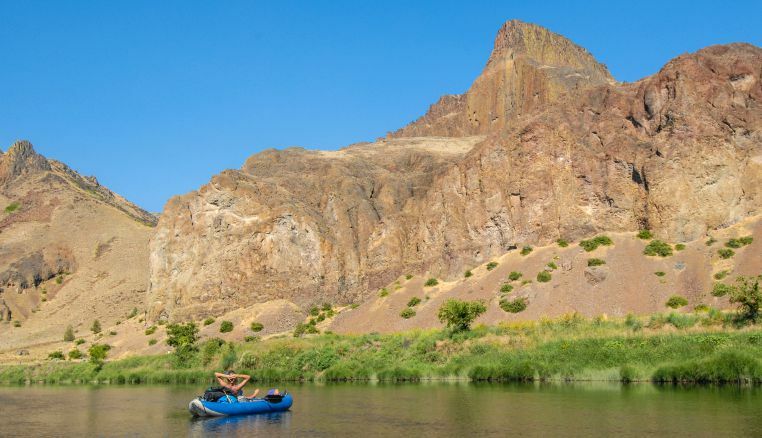 The North Fork John Day River in Oregon is a rare place where a family can share in white water adventure, adventure seekers can fulfill their spirits, and solitude cravers can leave satisfied. The North Fork (NF) John Day is approximately 107 miles long and is a tributary to the main stem John Day River. The NF John Day River is part of the National Wild and Scenic River system. Rightfully so. The NF John Day River can be categorized into many segments as the upper reaches possess different characteristics to it’s lower reaches. This is one of the beauty in this river. You can scout out many different parts depending on your objective. The one thing in common for the entire river is its natural beauty and abundant wild life. No matter what section you explore, the desert beauty with the wild remnants of a volcanic history is stunning. 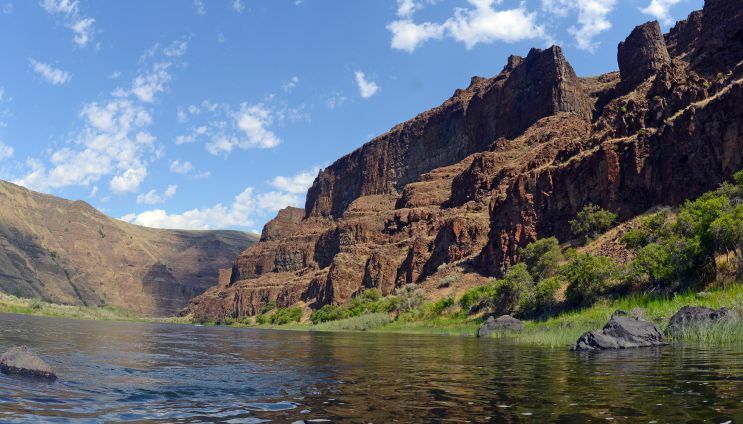 For a recommended 4 – 5 day adventure, consider putting in your boat(s) at Dale, Oregon with taking out at Monument, Oregon (approximately 44 river miles). This trip allows you to find plenty of wilderness camping along the banks, experience solitude, and some fun rapids. This trip can be done in shorter or longer segments, all depending on how fast (or slow) you want to travel. It’s also a safe stretch to bring your family with younger kids as there’s plenty for them to do and can be safe given safety precautions are always followed. Day 1: Travel to the put in area, Dale, Oregon. There’s some campgrounds along Hwy 395 or some spots to camp near the put in spot. Day 3: Find some designated camping spots approximately 10-15 river miles downstream. Enjoy the evening and please follow the fire restrictions (if applicable – it is a desert). Day 4: Float along, leisurely, to your next camp spot. You can make this a long day by travelling 12-17 miles. Look for a shady camp site to enjoy the scenery. Day 5: Float the remainder of your river to the town of Monument. This is where you can take out. Vehicle shuttles can easily be set up with local businesses that offer shuttling services. Make sure to contact them on the logistics and availability. One place you can start is the Dale General Store. Another logistic for your planning is water levels. Check the local resources to determine if the river flow is sufficient for your trip. Enjoy the journey of planning and implementation.